Well it’s been a jam packed 2 months since my last entry. A lot has happened already, and I’m only just under 3 months into my exchange! Now I have had 10 weeks of classes, I can tell you more about the experience over here than I could last time round. My classes are quite small, but this may be because I am taking elective subjects. The tutorials tend to have only 10-15 people in them, and this has allowed for me to have a good academic relationship with my tutors. The content of my courses has been very eye-opening to say the least. Two of my subjects do not have similar courses in Adelaide which has added to the curiosity surrounding the content. Politics of the Media has taught me concepts that I could link to the recent Federal Election as well as the US Presidential Election. Building London has allowed me to learn about not only the history of London, but concepts surrounding city planning, architectural history and how London compares to Adelaide and other Australian cities. While a European Union course is offered at Adelaide, learning about the EU amid Brexit proceedings has been very beneficial. The best part is seeing the perspectives of European citizens who have come to study in the UK, British Citizens, Non-EU citizens (that’s me) and the lecturer who used to work in the EU in one of its institutions. There is also a lot of domestic news coverage about it, which you wouldn’t be getting in Australia. 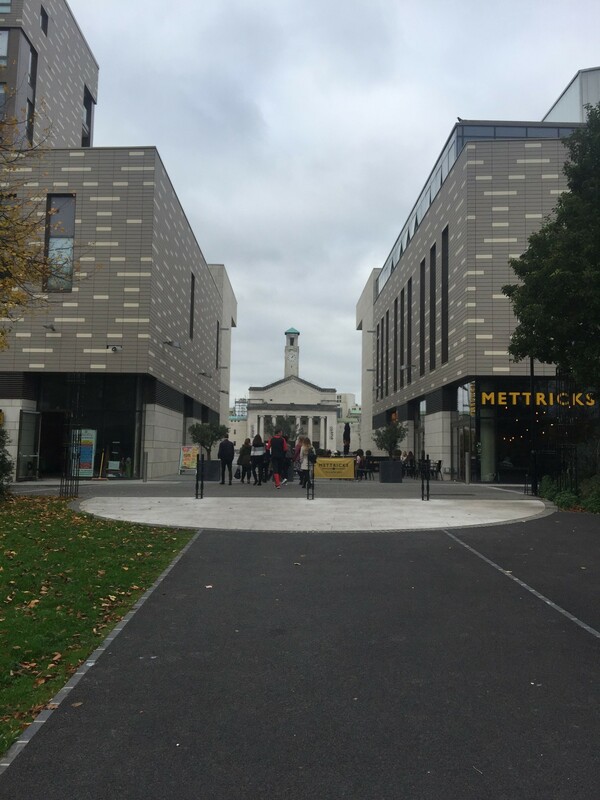 Southampton has many campuses, and while my politics courses are situated at the main Highfield Campus, my Building London subject is situated at the Humanities campus, Avenue Campus. Being a solely North Terrace campus student back in Adelaide, I’ve never realised how much I took not having to travel between campuses for granted! We have a three week break for Christmas and New Years coming up, then we are straight into exams – the semester scheduling is a little confusing compared to Adelaide’s straightforward layout, but it is easy to adapt to. The Avenue Campus which is where the Humanities are located. I mentioned in my previous blog that I had signed up to the Mustangs Softball and Baseball club. Since that blog, we played in an outdoor softball tournament which we unfortunately lost. 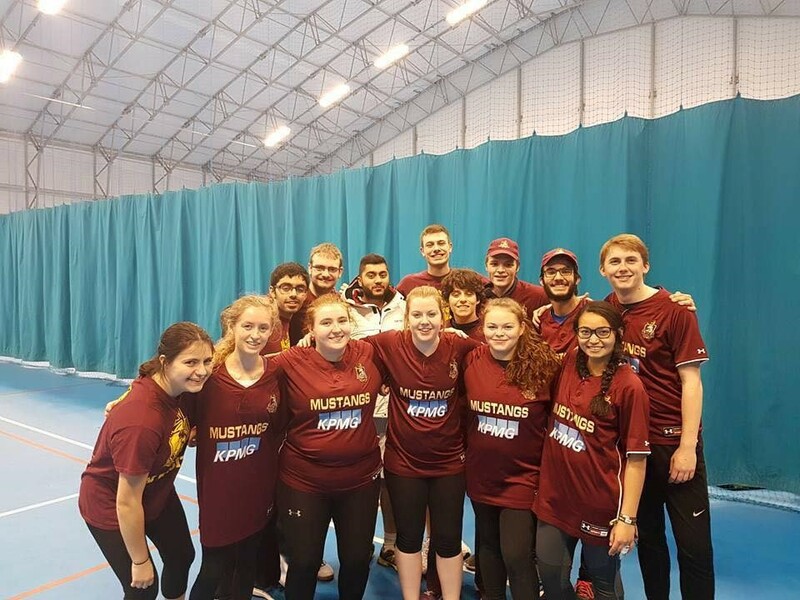 We have also played in an indoor tournament which we won undefeated and now sit at the top of the league table. Its certainly interesting changing up my game style to both forms of the sport (outdoor is slow pitch compared to my usual fast pitch at home!). Southampton Uni has great sport facilities which make me jealous as an Adelaide student. 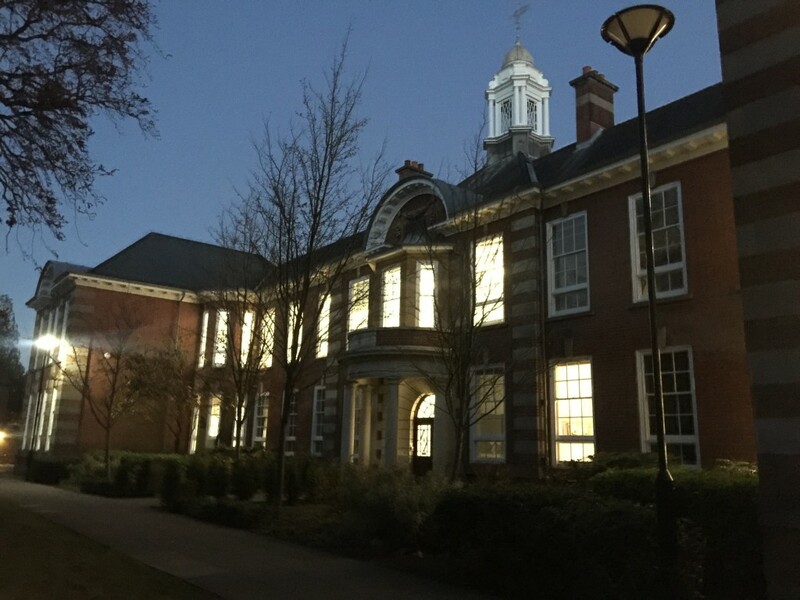 There are 2 sports halls on Highfield Campus, which have several courts for specialist games such as squash, a pool and a gym. The Uni also has playing fields out at Wide Lane which is a bus ride away. Wide Lane has playing fields for baseball, tennis/netball, hockey and soccer (or football over here). 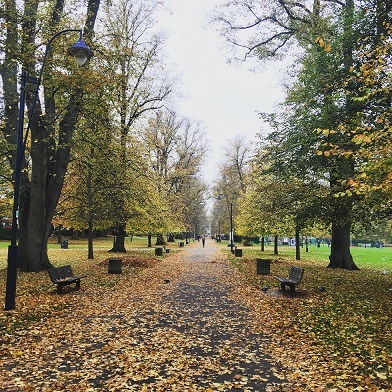 Nearby to the Uni is the Southampton Common, which is not part of the Uni, but it has a vast amount of space that the Softball team uses it for training. The nightlife in Southampton definitely has some differences to Adelaide. There is no one centralised area like Hindley Street. Clubs and bars, as well as pubs, are scattered all over the city, however the student dense Portswood does have a high concentration. Drinks are also very cheap over here, thanks to minimal taxes on alcohol. However, if you want a taste of some South Aussie wine, expect to pay about the same as you do back at home. 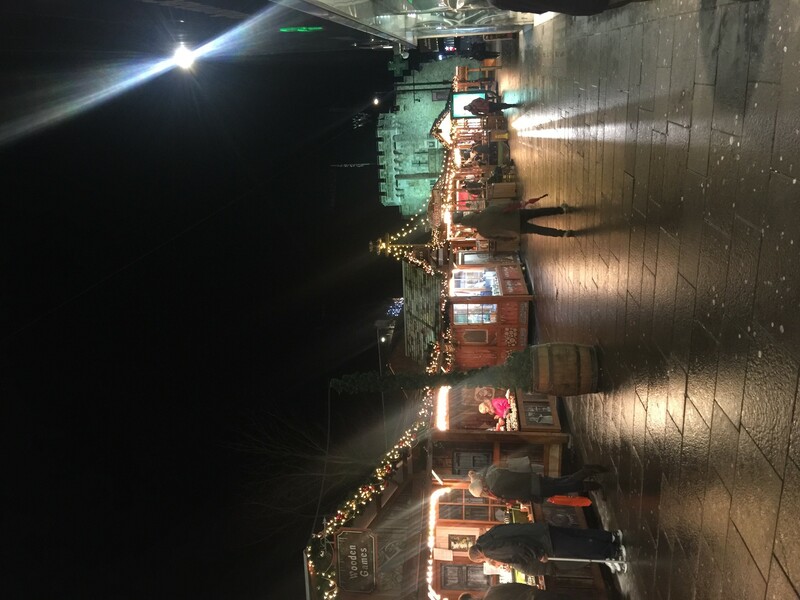 The Guildhall area of the City, many festivities are held around this area. One of Southampton’s many parks! The city of Southampton itself has a lot of similarities to Adelaide. It has an abundance of parks in the city centre. However, these parks aren’t laid out in a planned ring around the city. A lot of things are within walking distance and the city centre is relatively flat and easy to walk around. It’s not too bad having to walk – especially when it’s cold! The temperatures have been progressively getting colder, at the start of November we were having 3 degree mornings, and once in December during a nationwide cold snap, we had a -4 degree day. Something I can’t say I have experienced before except for in the walk-in freezer at my old job back home! The mornings can be a little difficult if you have a 9 AM class, but getting a thermos and carrying a cup of tea with you can ease the chill. The cold weather also makes you learn how to be efficient with layers. Scarves and jumpers have been my best friends as well as my coats! With Winter also comes Christmas events. 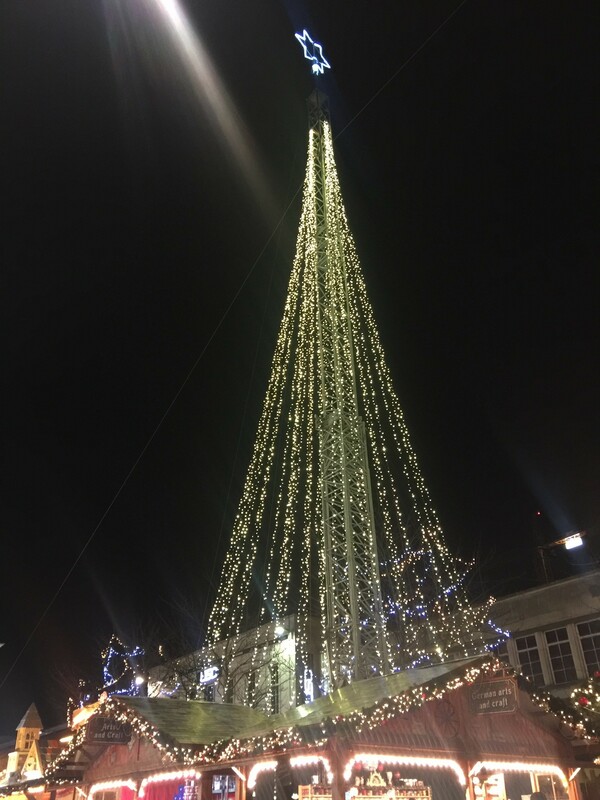 Switching on the Christmas lights is a big event throughout the UK. I attended the university’s, which was very pretty. 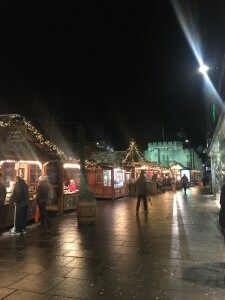 The town centre also has a German Christmas Market, full of food and gift stalls. 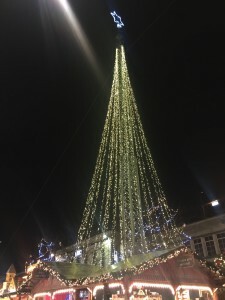 The tree in the centre of the markets. Food wise, it was originally a bit difficult adjusting to new food habits. While the Brits have a lot of cuisine that is like ours, the one thing that is different is the lack of fresh fruit and vegetables at this time of year. It has definitely opened my eyes to how lucky we are in Australia that we have such a varied climate that we can grow so many different things within the nation at different times of year, making the produce cheaper. It’s also difficult to get a good cup of coffee when you have an Aussie coffee palate! Your chain coffee shops serve a latte with 10 cm of foam and a flat white like an Aussie latte! Luckily, an independent coffee chain exists in Southampton, which is my regular haunt when I have to knuckle down with a latte and get some studying done. 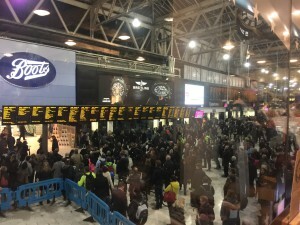 The very busy Waterloo Station at peak hour. Waterloo services the South West trains that come and go to Southampton. 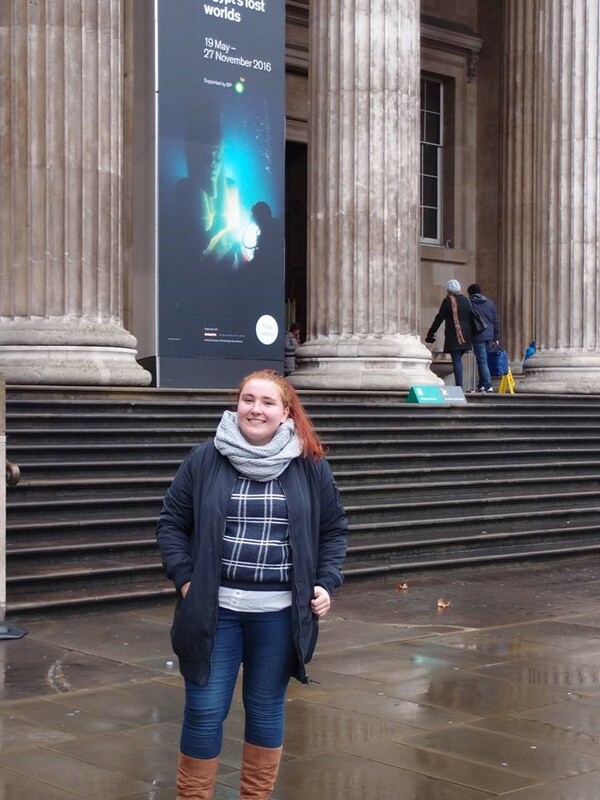 Outside the British Museum which I studied in my Building London course. 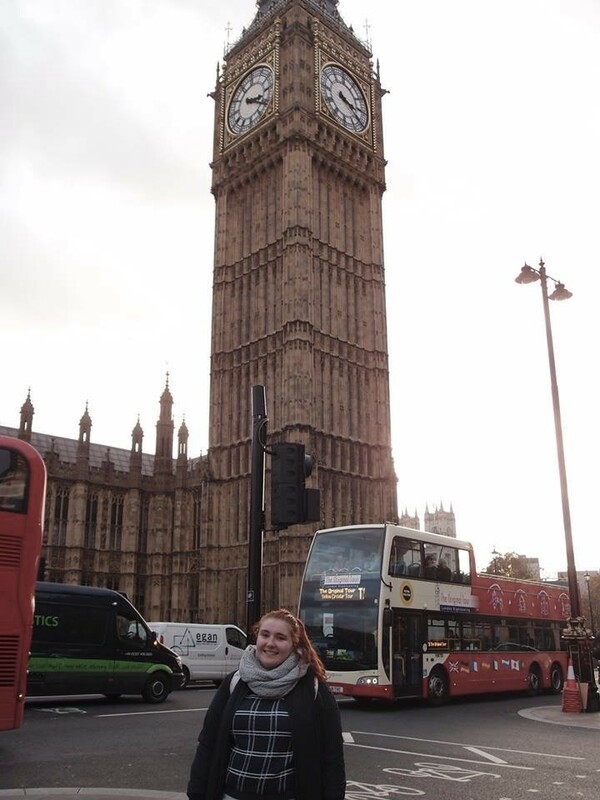 A very touristy shot: Outside Big Ben or the official name of the Elizabeth Tower. 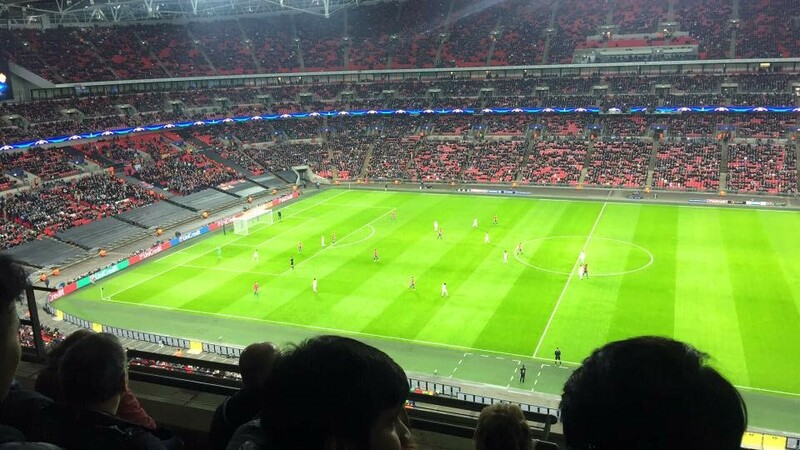 At Wembley Stadium watching a Tottenham Hotspurs game. 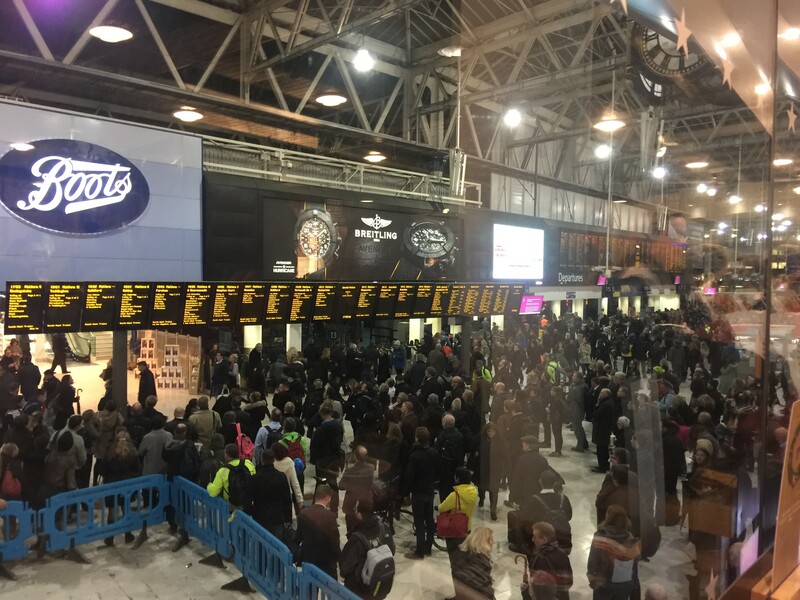 This entry was posted in Exchange, Student Blogs, United Kingdom and tagged baseball, Brexit, campuses, cream tea, EU, globewriter-claire, globewriters, Harry Potter Studio tour, London, media, parks, politics, soccer, softball, Southampton, sports, University of Southampton, Wembley Stadium. Bookmark the permalink.